A “drug war” laboratory that analyzed evidence to support criminal drug convictions has been found to have faked all the drug tests for over 23,000 convictions. 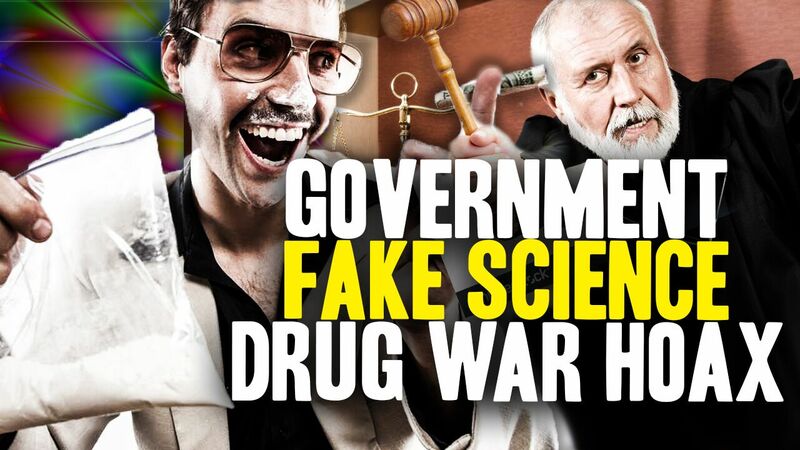 The “War on Drugs” is a complete science hoax. Science and government just don’t go together. When they combine you get an “excrement storm”, as Mike Adams, Health Ranger, calls it. When they collide, you get “bogus science”, or the kind of science that has allowed criminal laboratories to fake tens of thousands of drug tests. In the Health Ranger Report, Mike Adams discusses the controversy surrounding Annie Dookhan—an immigrant from Trinidad and Tobago, turned crime laboratory chemist in Franklin, Mass., turned fake science purveyor. Years ago, it was revealed that Dookhan falsified the drug tests that resulted in over 23,000 convictions over the course of a decade. The tests of every sample sent to this “prolific analyst” by prosecutors and law enforcement? Faked. All of them. The quantity records that amazed her supervisors and unsettled co-workers, who wondered how she could produce results so quickly? Faked. Those innocent lives that were wrongfully convicted, went to prison, and served time? You can thank her fake tests. Though what makes the Dookhan case truly infuriating is the fact that the crime lab Dookhan worked at is state run. This means that there will be no accountability, because fake science and government are regular bed mates. Still, Adams hopes that the innocent people who did their time behind bars can sue the state of Mass. for “billions of dollars”. That’s the least these people deserve. Mike Adams is a scientific pioneer who tirelessly campaigns against the corrupt pharmaceutical industry through bestselling books and talks. A world-class inventor, Mike Adams has patented a number of Health Ranger inventions that remove heavy metals and impurities from the human body. His online store, HealthRangerStore.com, offers a wide array of organic products for purposes ranging from personal care to survival. Not even drug test kits are safe. According to Adams, a lot of drug test kits being used out on the field by cops are “bogus”. Anything can make them yield positive results. “They produce positive results when you just open them and expose them to air. Some of these kits, you could put chocolate bars in them and they’ll turn positive. You can put cold medicine in them, you can put over-the-counter medicines, cough syrup, or even certain types of foods, and they will flag a positive,” states Adams. Combine the results of the field drug test with the results from a criminal laboratory, and you can kiss you freedom goodbye. This isn’t the war on the drugs. This is a waste of the government’s time and money. This is fake science that’s pretending to be legitimate science. This is an insult to the justice system and tenets of ethics. Meanwhile, the government keeps on stealing from everyone and continues to collude with the pharmaceutical cartels—the same pharmaceutical cartels that sell drugs to addicts through drugstores and doctors. They’re the ones who keep this drug war going. And the people are getting tired of it all.